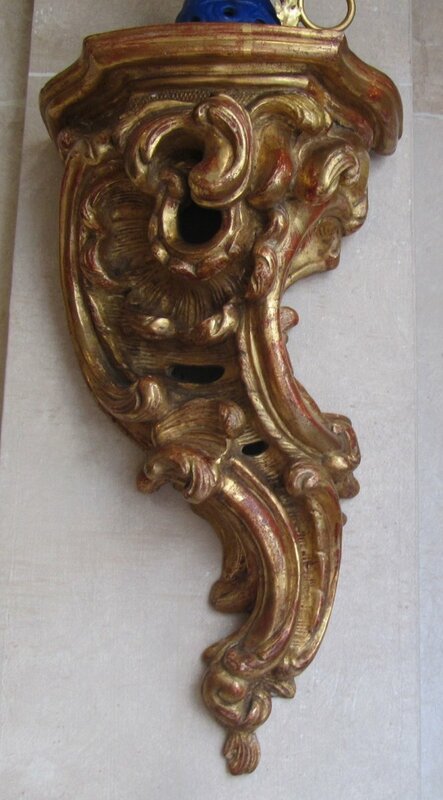 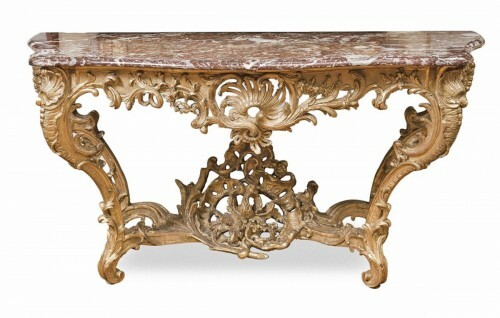 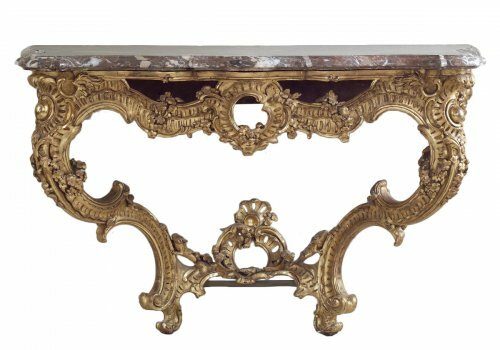 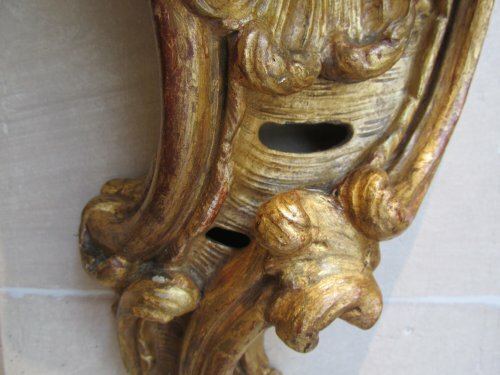 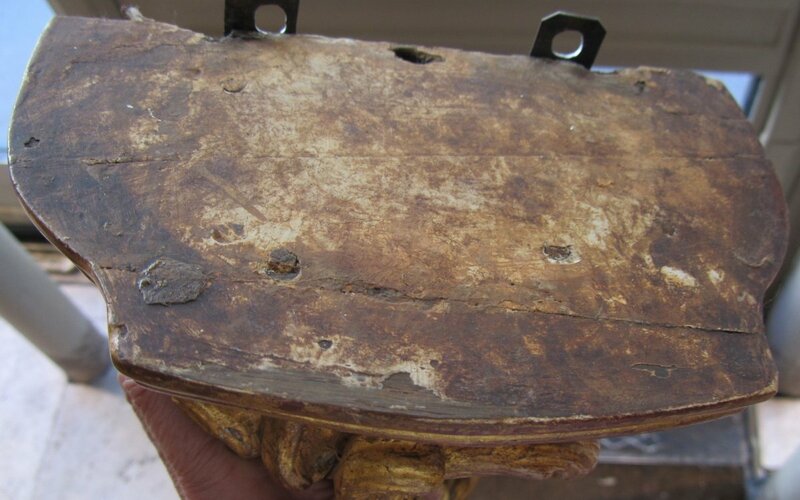 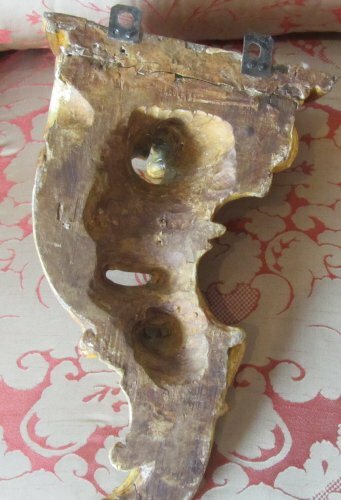 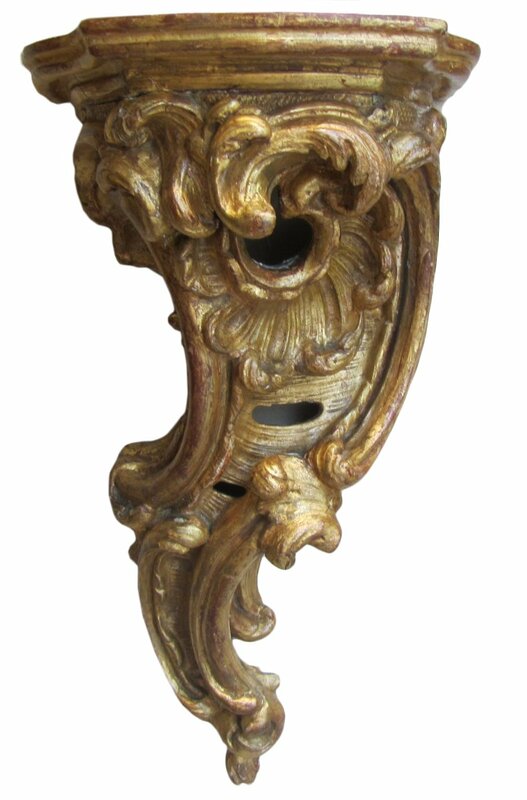 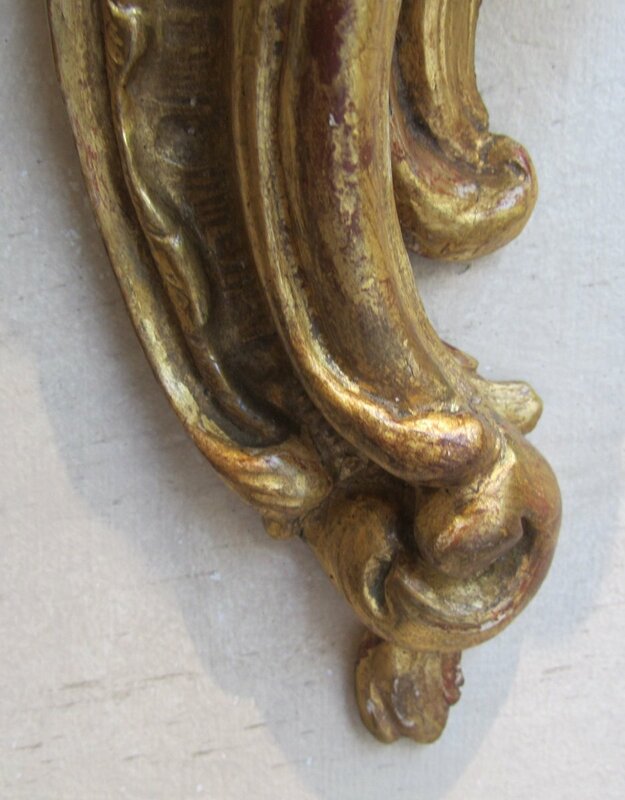 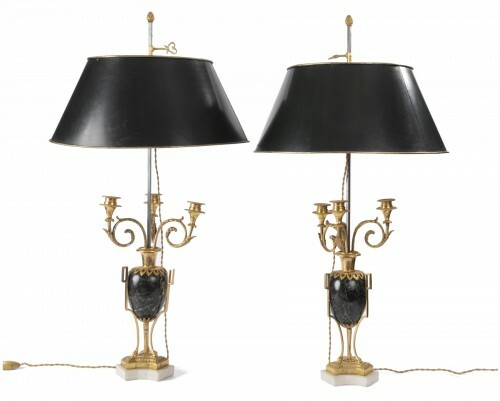 A pair of giltwood wall-brackets , shaped top in wood supported by scrolling leaves rocaille . 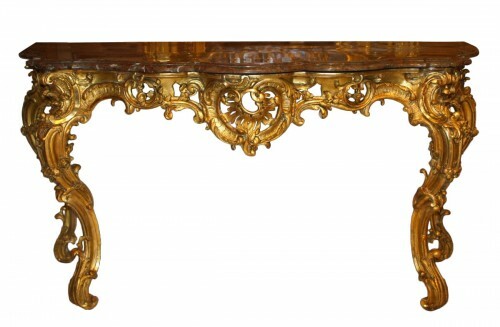 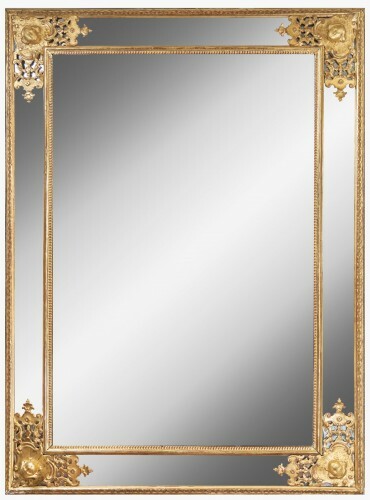 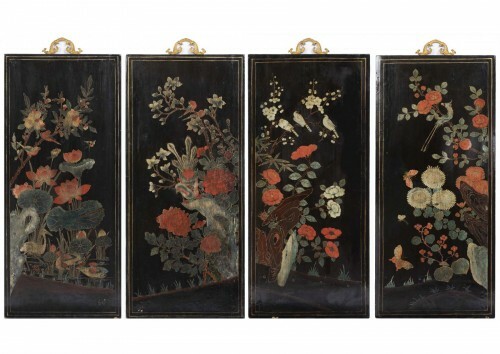 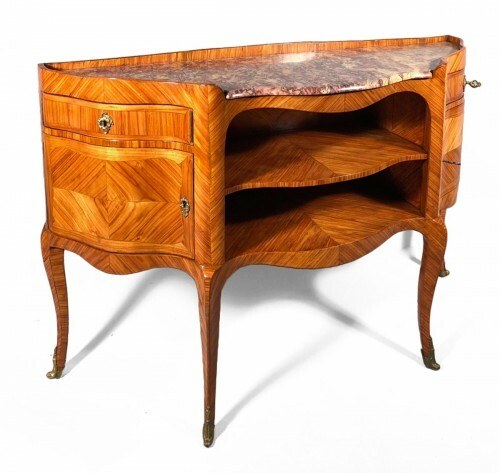 French work , Louis XV period . 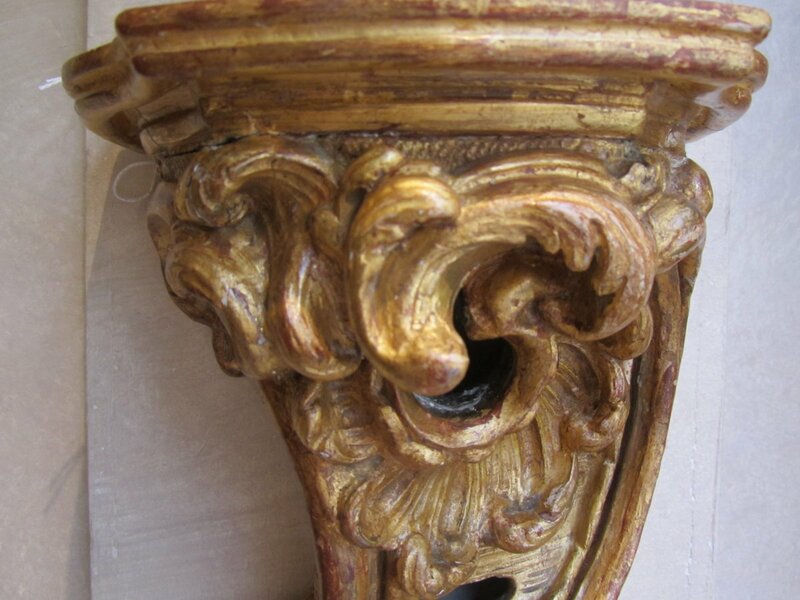 Dimensions in inches : Higth 14,1/4 , top wide 7,1/2 x 5 .